I've been at it again. 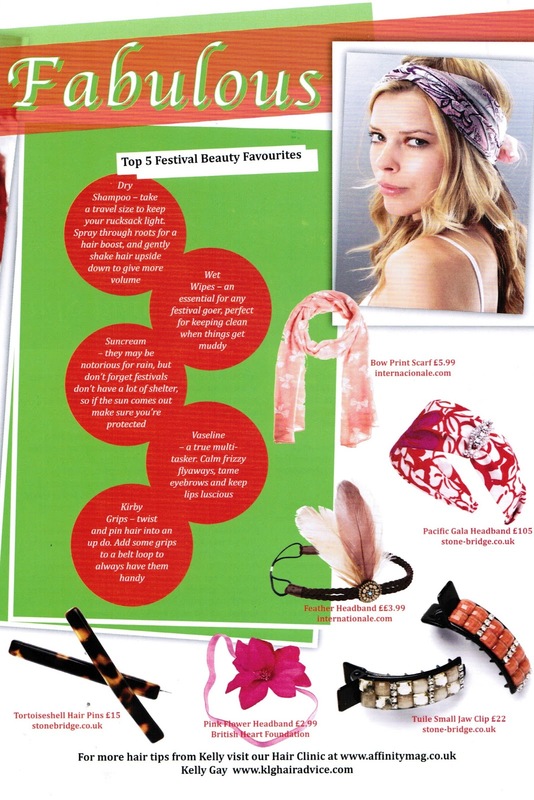 :) Latest couple of articles in Affinity gives you the latest and greatest hair tools to help you achieve perfect hair* and how to stay festival fabulous. 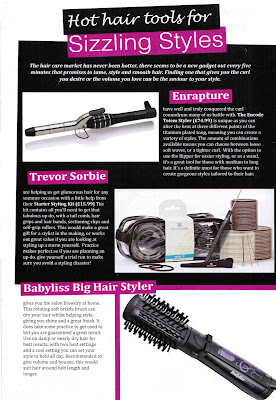 Enrapture, Babyliss and Trevor Sorbie are featured, along with some hairspray heroes. I think it's great having a whole host of hair tools at your fingertips to help create a range of styles, from tongs to big hair stylers hopefully you'll find something to suit. 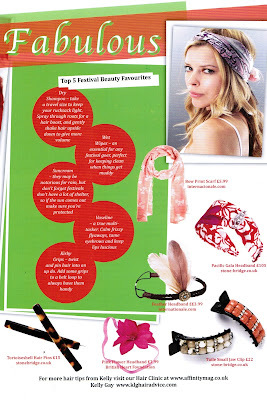 The Festival Fabulous article focuses on how to keep your hair looking great at all the Summer's festivals. 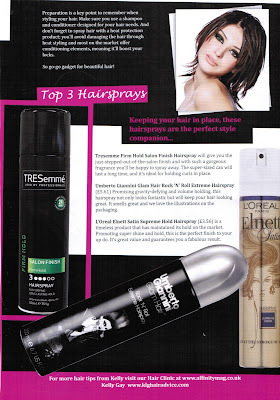 If you want to read either you can click on the pictures to get a bigger version, or click here for an online version of the mag. I got an email the other day asking how I get my writing work. Simple version of events, I pestered emailed editors and asked if they'd like me to write for them. At the beginning I built up my portfolio doing some free pieces, this helped me gain a better writing style, and also gain some work to show other publications to prove my worth. I got some polite thanks but no thanks back, but there were editors willing to take a chance on me. As most of you know I am currently working on a News & Features Journalism course at the London School of Journalism. It's an intensive course which I will be doing whilst working full-time, we are working on the last three assignments at the moment. Our first assignment was to tackle a news report about a fictitious plane crash, and I got an A! Really chuffed as I'd definitely say I'm more of a features writer than a news reporter, the only criticism our tutor had was that the structure could alter slightly by means of changing a paragraph or two. Yippee!